It’s fair to say Novak Djokovic is a much different player now than he was when he and Alexander Zverev first squared off in a battle of generations in the 2017 Internazionali BNL d’Italia final in Rome. At the time, Djokovic was in the midst of change and frustration. He had split with his longtime team two weeks earlier, and the Serbian had celebrated only two titles in the past nine months. Look ahead 17 months, though, and the 31-time ATP World Tour Masters 1000 champion might be reaching a new peak. He has won 16 consecutive matches, dating back to his titles at the Western & Southern Open and US Open, and is into his third ATP World Tour Masters 1000 semi-final of the season (Cincinnati, Rome) at the Rolex Shanghai Masters. But Zverev also hasn’t stood still since winning his first Masters 1000 title on clay against Djokovic. The German has won two more Masters 1000 titles, become a Top 5 staple on the ATP World Tour and, on Friday, secured his second consecutive trip to the season-ending Nitto ATP Finals, to be held 11-18 November at The O2 in London. “I think every year you feel more mature. Ever year you spend on tour, you feel kind of different,” Zverev said. “Last year was the first time I kind of broke through to the Top 10 and was a Top 5 player. It’s always easier to get there, but then staying there is always the tougher part. Djokovic compared their Saturday semi-final to his quarter-final on Thursday, when he dismissed 6’8” Kevin Anderson in straight sets. “It’s going to be definitely a close match, I think, quite similar in style of the play to today’s match. Kevin is a big server, big hitter from the back of the court, really aggressive, tall. Sascha is similar to that,” Djokovic said. If the Serbian beats Zverev, he will return to No. 2 in the ATP Rankings. But in Saturday’s other semi-final, Roger Federer will try to do all he can to stay No. 2. The top-seeded Swiss will meet Croatian Borna Coric in a rematch of their BNP Paribas Open semi-final, which Federer won in three sets in Indian Wells. But Coric gained revenge in June, beating the 98-time tour-level titlist in the Gerry Weber Open final in Halle. “Both matches were very, very close… [In Halle,] it was close all the way till the end. He was better on the big points. It was tough. He played really well, I thought,” Federer said. The Swiss reached the semi-finals with his best match yet in Shanghai, a straight-sets win against Kei Nishikori. Federer was hitting aggressively all match, trying to take advantage of the quick Shanghai courts. Beat Coric and Federer will have a chance to play for his third Shanghai crown on Sunday. Coric advanced to the semi-finals by beating Aussie Matthew Ebden to make his second Masters 1000 semi-final of the season. He’ll try to re-create his Halle magic and reach his first Masters 1000 final in Shanghai. There aren’t many firsts left for Roger Federer at 37 years old. But the Swiss is going through a first this week at the Rolex Shanghai Masters, where the top seed has his family with him for the first time. What Federer does like is winning, and he’s done just that this week. While the World No. 2 was tested early, being pushed to three sets against both Daniil Medvedev and Roberto Bautista Agut, he broke the in-form Kei Nishikori — the US Open semi-finalist and last week’s Tokyo runner-up — three times on Friday en route to an impressive straight-sets victory. And, to be fair, Federer has always played well in Shanghai. Federer, who is pursuing his 99th tour-level triumph, is now 21-4 at the ATP World Tour Masters 1000 event, earning the title in 2014 and 2017. But having the rest of his family has made the experience even that much more comfortable. One excursion Federer missed out on was a trip to Disneyland on Wednesday. Who can miss out on that? Whether Federer was kidding or not, the Swiss is simply happy to be enjoying the proverbial ride of the tournament with his family by his side. And he hopes that will translate to lifting his 28th Masters 1000 trophy on Sunday. Novak Djokovic is peaking at just the right time, pushing to finish the season atop the ATP Rankings. And it’s only fitting that the Serbian is making his assault during a part of the year that he has long dominated. After defeating World No. 8 Kevin Anderson in straight sets to reach the semi-finals of the Rolex Shanghai Masters on Friday, Djokovic now owns a 68-9 record in China with 10 championships and the 2008 Beijing Olympics bronze medal. To put that in perspective, the Serbian has more titles in the country (10) than he has losses (9). According to the 31-year-old, that is no coincidence. Djokovic has always loved playing in China, and it has showed in his performance. It doesn’t hurt that Djokovic carried momentum into this event. Djokovic fell to No. 22 in the ATP Rankings in May, which was his lowest point since October 2006. The Serbian began his 2018 with a 6-6 record, as he struggled to recover from a right elbow injury. But since then, he has won 37 of his past 40 matches, including titles at Wimbledon, the US Open and Cincinnati, where he became the first player to complete the Career Golden Masters, capturing the only ATP World Tour Masters 1000 trophy he was missing. It’s the perfect storm for Djokovic, who can move to World No. 2 with a win in Saturday’s semi-finals against Alexander Zverev. If he lifts the trophy, Djokovic would move to within 215 points of World No. 1 Rafael Nadal in the ATP Rankings as the Serbian attempts to finish as year-end No. 1 for the fifth time. With his victory against Anderson, Djokovic is now 189-89 against opponents inside the Top 10 of the ATP Rankings, including seven triumphs in a row against the elite group since the start of Wimbledon. Djokovic has found his stride during a part of the season that has always treated him well. And from No. 22 just months ago, he is in position to complete the biggest turnaround for a year-end No. 1 in history (currently Agassi, No. 14 on 3 May 1999). Djokovic’s game is certainly flowing now, and he will try to keep it going in the Shanghai semi-finals against Zverev. – This is the 10th edition of the Rolex Shanghai Masters. Djokovic is appearing for the eighth time, and he has advanced to at least the semi-finals in every participation. Defending champion and top seed Roger Federer beat Japan’s Kei Nishikori in a high-quality quarter-final in the Shanghai Masters. Federer, 37, won 6-4 7-6 (7-4) against the world number 12 after coming from 4-1 down in the tie-break. The Swiss, aiming for his first Masters title since winning this event last year, will play Croatia’s 19th-ranked Borna Coric in Saturday’s semi-finals. The winner will face Novak Djokovic or Alexander Zverev in Sunday’s final. Coric, 21, beat 20-time Grand Slam champion Federer in the Halle final this year. Coric continued the best year of his career by reaching his second Masters semi-final with a 7-5 6-4 victory over Australia’s Matthew Ebden. Serbian second seed Djokovic, who could move above Federer into second in the world rankings, beat South Africa’s Kevin Anderson in a rematch of this year’s Wimbledon final. German Zverev, ranked fifth in the world, beat British number one Kyle Edmund in the quarter-finals. Britain’s Jamie Murray and Brazilian partner Bruno Soares reached their second consecutive Masters doubles final with a 6-3 6-4 win over fifth seeds Juan Sebastian Cabal and Robert Farah. Lukasz Kubot and Marcelo Melo moved to within one match win of qualifying for the Nitto ATP Finals for the third straight year after advancing on Friday to the Rolex Shanghai Masters semi-finals. The third seeds knocked out seventh seeds and fellow Nitto ATP Finals contenders Raven Klaasen and Michael Venus 7-6(3), 4-6, 10-7 in one hour and 48 minutes. Kubot and Melo let slip a 5-3 lead in the first set. 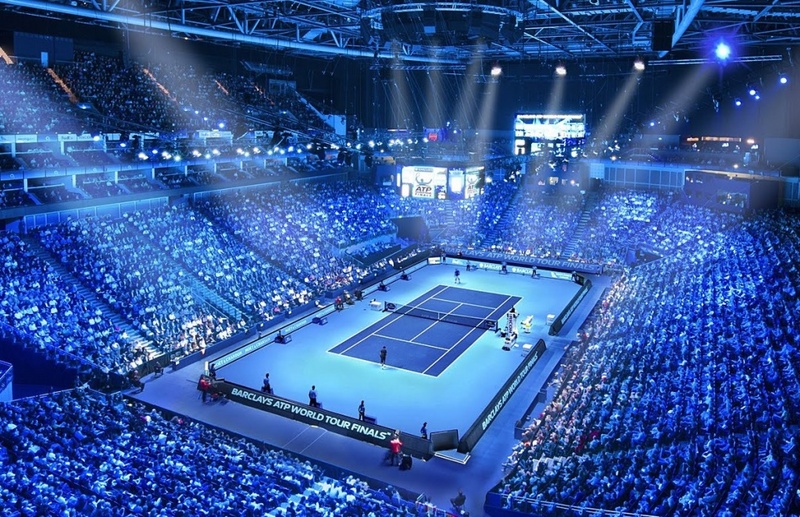 Last year’s runners up at The O2 in London are now looking to join Oliver Marach and Mate Pavic, who they will play on Saturday in the Shanghai semi-finals, Juan Sebastian Cabal and Robert Farah, and Jamie Murray and Bruno Soares, as qualifiers at the 11-18 November season finale. Second seeds Marach and Pavic knocked out eighth seeds Ivan Dodig and Nikola Mektic 3-6, 6-2, 10-6 in 83 minutes. 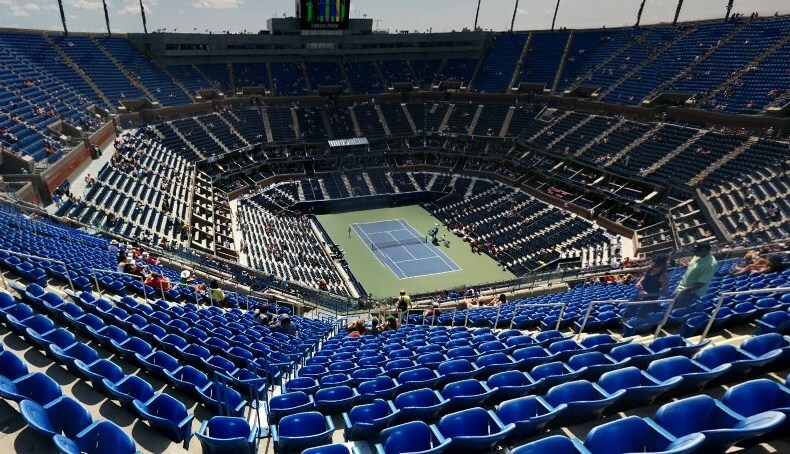 Sixth seeds Murray and Soares, who qualified for the Nitto ATP Finals on Thursday, will contest their fifth ATP World Tour Masters 1000 final on Sunday after sweeping past fifth seeded Colombians Cabal and Farah 6-3, 6-4 in a repeat of the Western & Southern Open final in August. The British/Brazilian team have a 9-7 record in finals. Novak Djokovic extended his winning streak to 16 matches and maintained his bid to finish at year-end No. 1 in the ATP Rankings for the fifth time on Friday by reaching the Rolex Shanghai Masters semi-final. The second-seeded Serbian, a three-time champion at the ATP World Tour Masters 1000 tournament, won a repeat of this year’s Wimbledon final over seventh seed Kevin Anderson of South Africa 7-6(1), 6-3 in one hour and 44 minutes. Djokovic could move to within 35 points of No. 1-ranked Rafael Nadal in the ATP Race To London — the year-to-date standings — if he lifts his 32nd Masters 1000 trophy on Sunday. He could also rise to No. 2 in the ATP Rankings if he advances to the final, and Roger Federer does not win the title. He will now prepare to face fourth-seeded German Alexander Zverev, who became the fifth singles player to qualify for the Nitto ATP Finals, to be held at The O2 in London from 11-18 November, as a result of beating Kyle Edmund of Great Britain in the quarter-finals. 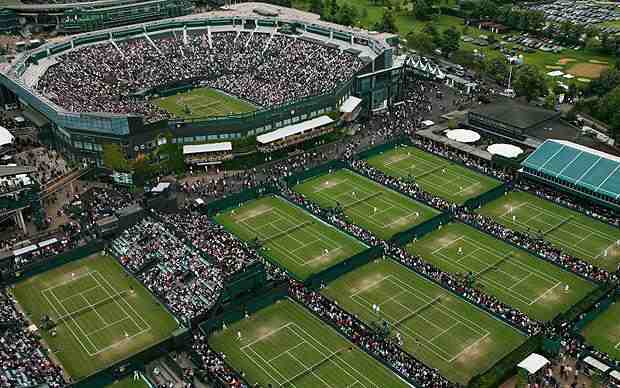 Djokovic, Nadal, Federer and Juan Martin del Potro had already booked their spots at the prestigious season finale. Djokovic has now won 29 of his 31 matches overall since losing to then No. 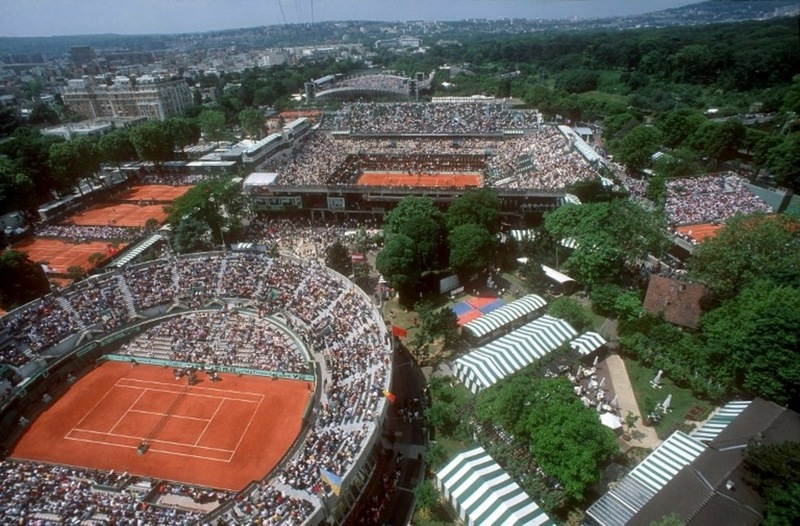 72-ranked Cecchinato 6-3, 7-6(4), 1-6, 7-6(11) on 5 June in the Roland Garros quarter-finals. With a 43-10 record on the season (21-4 on hard courts), the Serbian has captured two Grand Slam championship trophies this year the Wimbledon and the US Open (d. Del Potro), plus the Western & Southern Open in Cincinnati (d. Federer). Victory in Cincinnati saw Djokovic become the first player to win titles at all nine Masters 1000 events since the start of the series in 1990. In a tense first set, Anderson could not convert one set point at 6-5, with Djokovic serving at Ad-Out, when he hooked a forehand wide. Having completed an eight-minute service hold, Djokovic grew in confidence to win the first three points of the tie-break. The Serbian won 10 of the last 11 points and strike a backhand winner — his 17th of the 63-minute set — to gain the momentum in their eighth FedEx ATP Head2Head meeting. Anderson’s first-service began to falter and Djokovic soon seized his chance in the second set. When Anderson struck a backhand into the net at 0-1, 15/40, Djokovic didn’t look back and continued to mix up his service speed and placement. 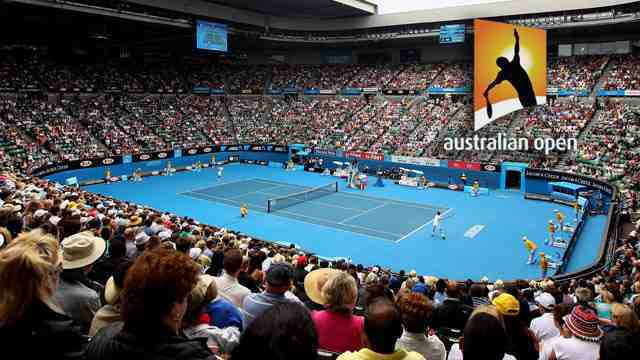 Djokovic won 85 per cent of his first-service points and withstood 16 aces from Anderson. Anderson, a winner of four ATP World Tour titles including the inaugural New York Open (d. Querrey) in February, is now 40-16 on the year. He is currently in seventh position in the ATP Race To London, looking to clinch one of the three remaining singles berths at the eight-man Nitto ATP Finals. British number one Kyle Edmund was beaten in the Shanghai Masters quarter-finals by fourth seed Alexander Zverev. Germany’s Zverev, the world number five, produced an impressive performance to win 6-4 6-4 in one hour 12 minutes in China. Zverev took control by breaking Edmund’s serve in the opening game of the match and earned the only other break midway through the second set. He hit 12 unforced errors, compared with 25 from world number 14 Edmund. The win sees Zverev become the fifth player to secure his place at the season-ending ATP Finals in London, joining Rafael Nadal, Novak Djokovic, Roger Federer and Juan Martin del Potro. Edmund is currently 12th in the race to qualify for the event at the O2 Arena, which sees the year’s best eight players compete for the final ATP title of the year. The Englishman is 1,590 points behind Dominic Thiem in eighth place. Zverev will play Djokovic or Kevin Anderson in the semi-finals in Shanghai. Britain’s Katie Boulter missed out on the biggest win of her career, losing in three sets to world number six Karolina Pliskova in the Tianjin Open quarter-finals. Boulter, who has never beaten a player ranked in the world’s top 10, led 2-0 in the third set but lost 5-7 6-0 6-3. Boulter, currently ranked 101 in the world, is still likely to break into the world’s top 100 for the first time. She was appearing in only her second quarter-final at WTA level.